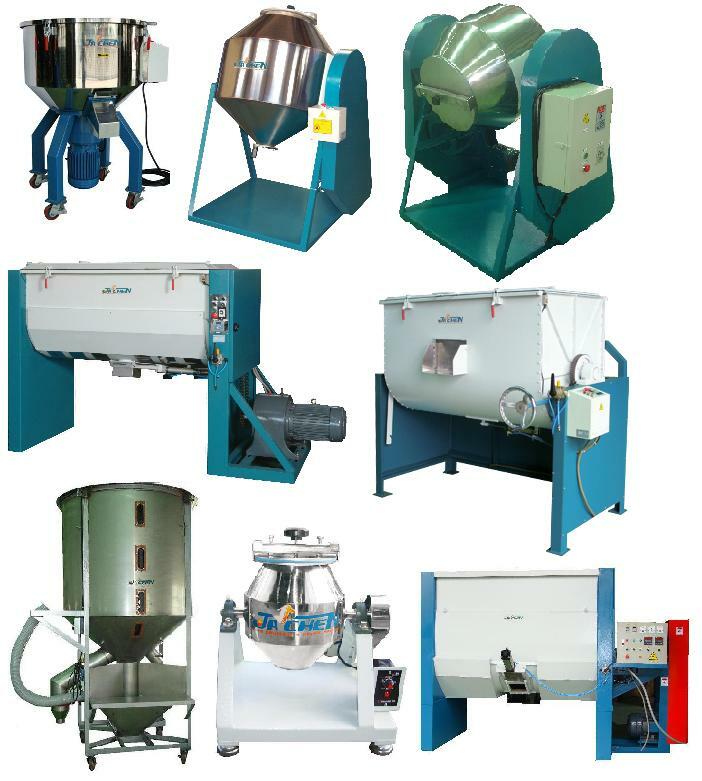 Mixing Equipment( for powders & particles) - Sinchung(Jachen) Technology Co., Ltd.
JACHEN TECH. is dedicated to develop varieties of mixing equipment for plastic & rubber industry, chemical industry, food industry, medicine industry and so on. Applications : dry powders and particles. e.g. plastic granules, rubber granules, pigments, medicine powders, PVC powders, NBR,pepper, tea leaves, tea powders, silicon powders, cosmetic powders, milk powders, lime,coffee mate, coffee cream , fertilizer, animal feed and so on.